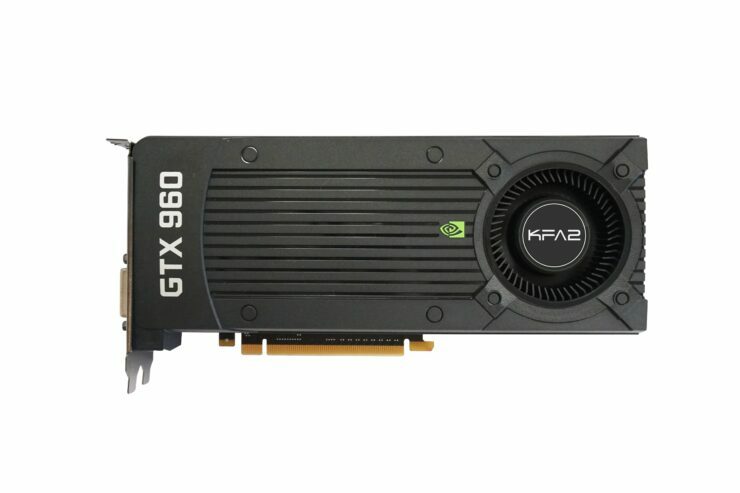 NVIDIA is going to launch their GeForce GTX 960 graphics card based on the GM206 GPU architecture in the next few weeks but leaks regarding the retail cards and specifications are already hitting the web. 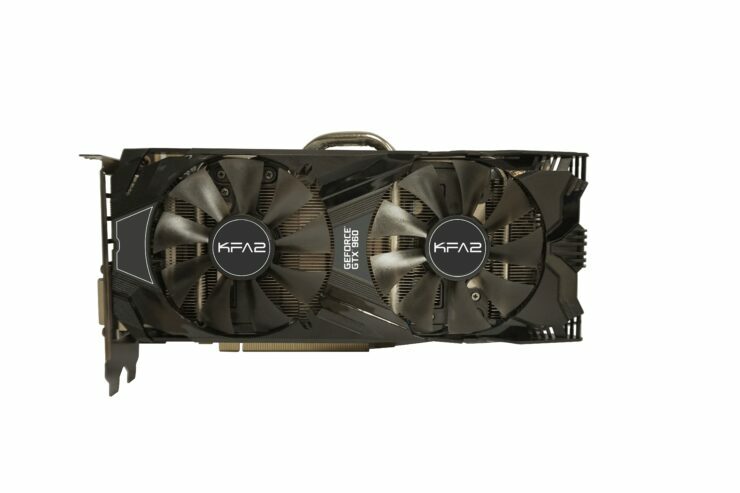 From the looks of it, KFA2 which is GALAX’s sister company based on EU region is going to launch three models of the new card including two custom overclocked variants. Before we start off with the cards, we would like to share with you the information which was previously leaked a few days ago. 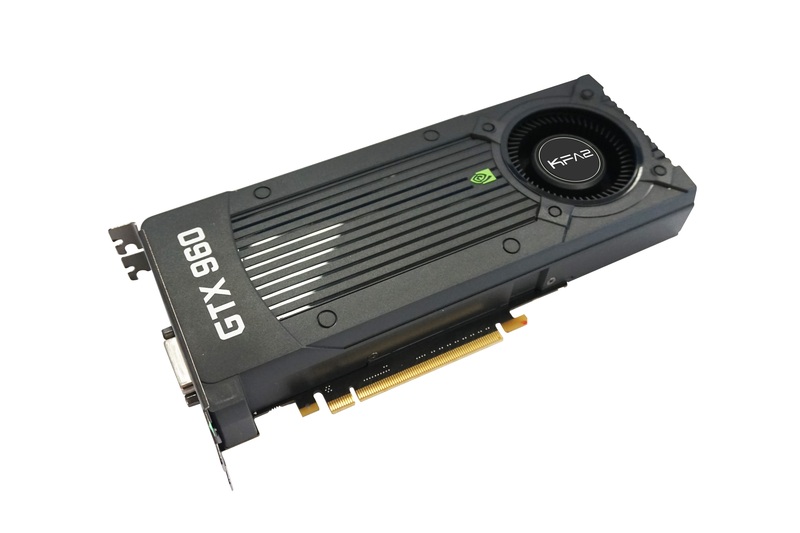 The GM206-300 GPU on the GeForce GTX 960 has a much smaller die size compared to the GM204 core which shows that the graphics processing clusters have been arranged to focus entirely on efficiency by scrapping out needless components. A good guess would be that the clusters could be comprised a total of 8 to 10 SMMs, that would make a CUDA core count of 1024 and the ROP/TMU count of 32/64 on the core configuration since it remains to be seen whether the GM206-300 will be the fully enabled GM206 core variant since there’s a possibility of a GTX 950 GPU to emerge on a cut down variant of the chip in the future. The core clocks were not revealed however retail listings of the card show that it features a memory clock of 7 GHz (7010 MHz) and a clock speed ranging between the 1178 MHz range and beyond for the factory overclocked variants. The card will feature 2 GB memory with 4 GB memory variants heading out to the market soon after wards. The VRAM will be running across a 128-bit memory bus. 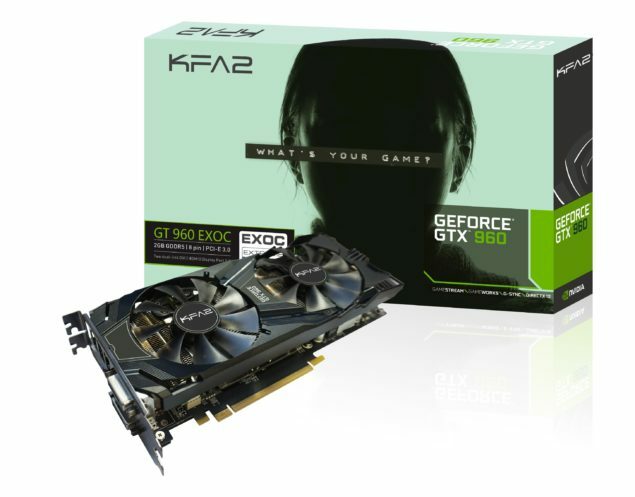 The KFA2 GeForce GTX 960 EXOC makes use of a highly custom designed PCB and a better cooling design compared to the reference variants. 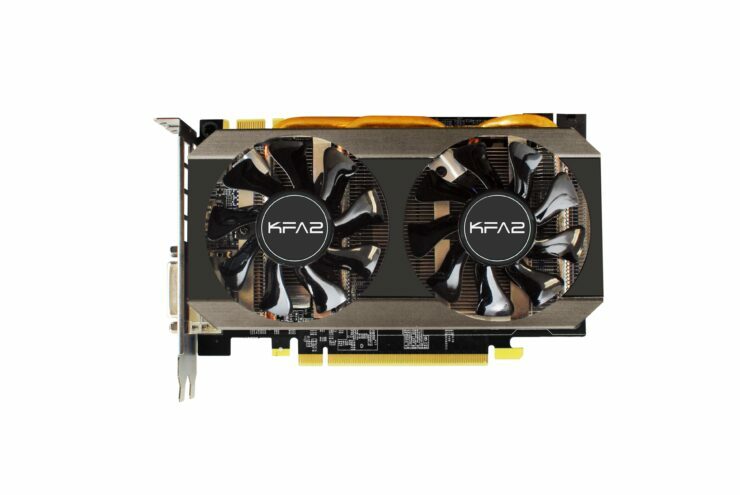 The card makes use of factory overclocked specifications and comes with a dual fan cooling shroud which regulated air towards a large aluminum fin array that is interconnected with 6 6mm heatpipes that run throughout the heatsink block. 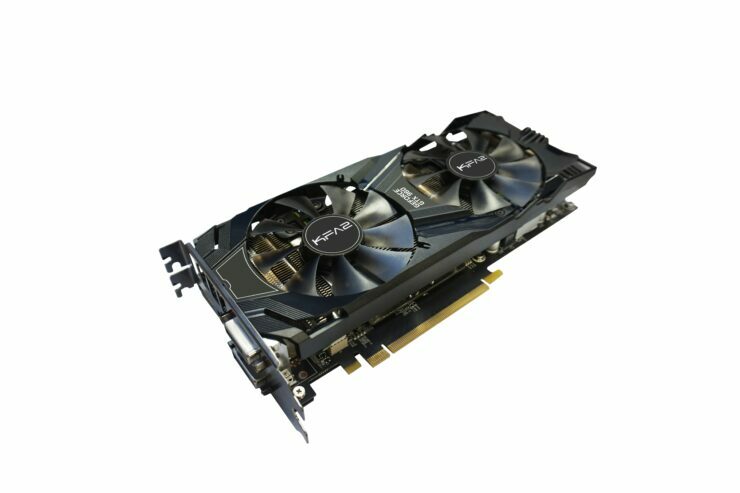 The card comes with a nice matte black colored back plate with GeForce GTX logo and a caution sign that indicates that the surface of the backplate might be hot so its not a good choice to touch the graphics card under load. 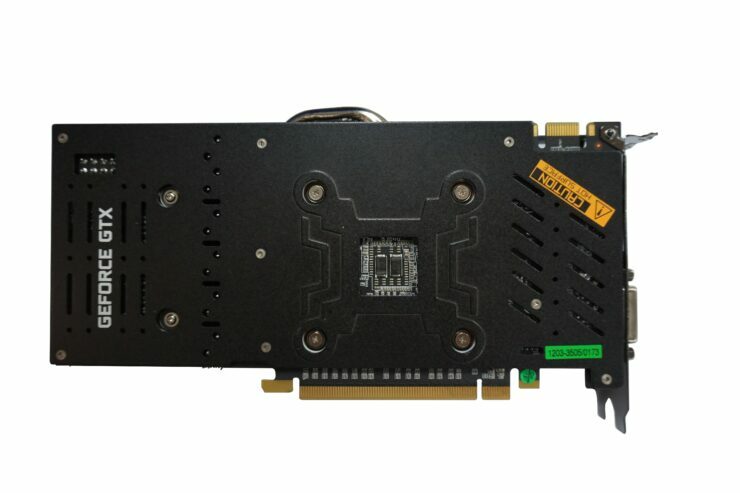 The card is delivered power through a single 8-Pin connector and comes with a single SLI connector indicating 2-Way SLI support. 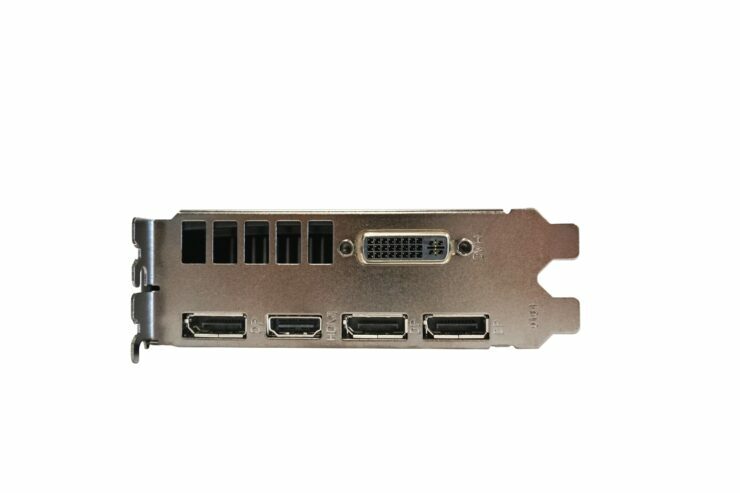 The display outputs include Dual-DVI, HDMI and a display port. 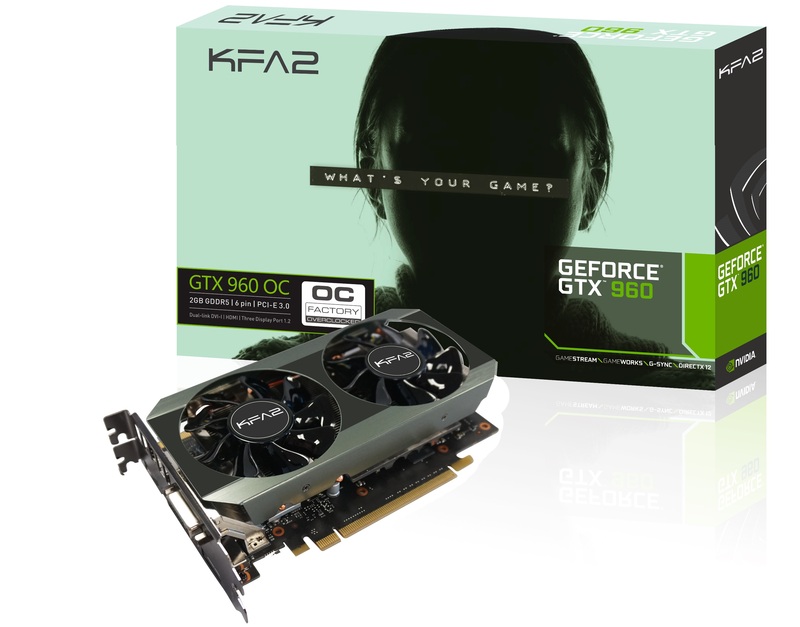 The KFA2 GeForce GTX 960 OC makes use of mini custom designed PCB. It ships with factory overclocked specifications and comes with a dual fan cooling shroud which regulated air towards a dense aluminum fin array that is interconnected with 6 6mm heatpipes that run throughout the heatsink block. The card is delivered power through a single 6-Pin connector and comes with a single SLI connector indicating 2-Way SLI support. The display outputs includeDVI, HDMI and three display ports. 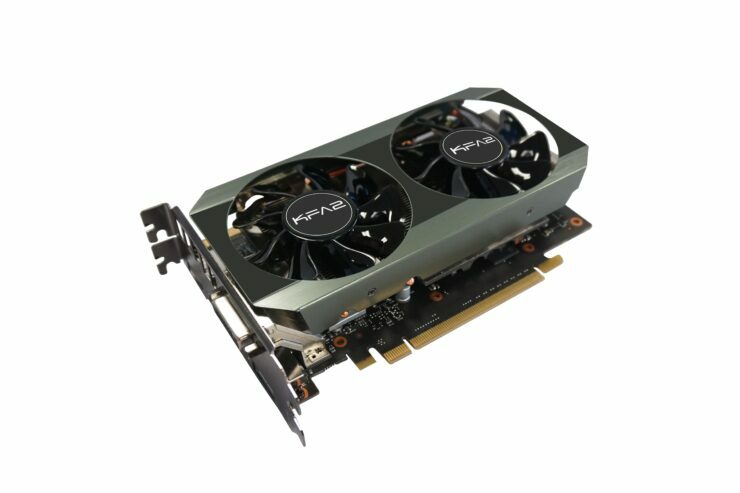 The Mini design would make this a good addition for Mini-ITX gaming PCs since the Maxwell cores does pack a lot pf power. Last up we have the reference variant which features the exact same cooler we have been seeing since the GeForce GTX 670 graphics card. The blower fan pushes heat through the central vapor chamber and blows heat out of the front exhaust vent. 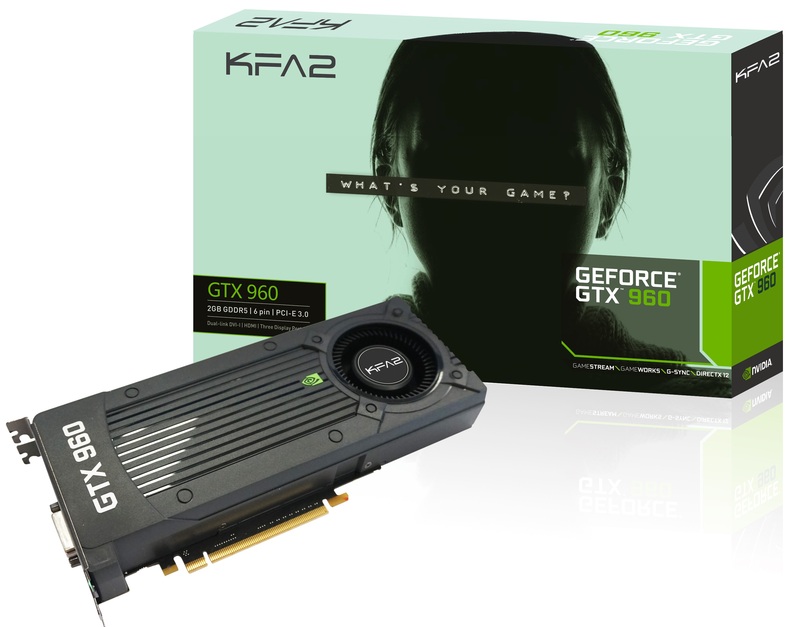 The GeForce GTX 960 logo can be seen large on the shroud along with a small NVIDIA badge near the fan. 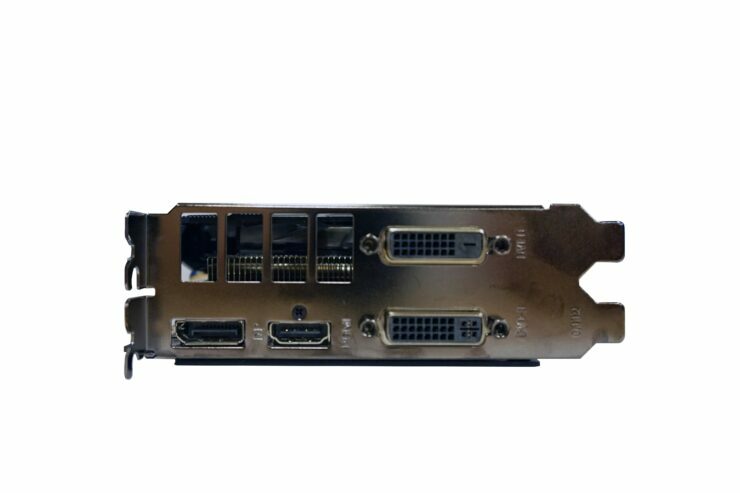 The card comes with a single 6-Pin connector and a single SLI connector. 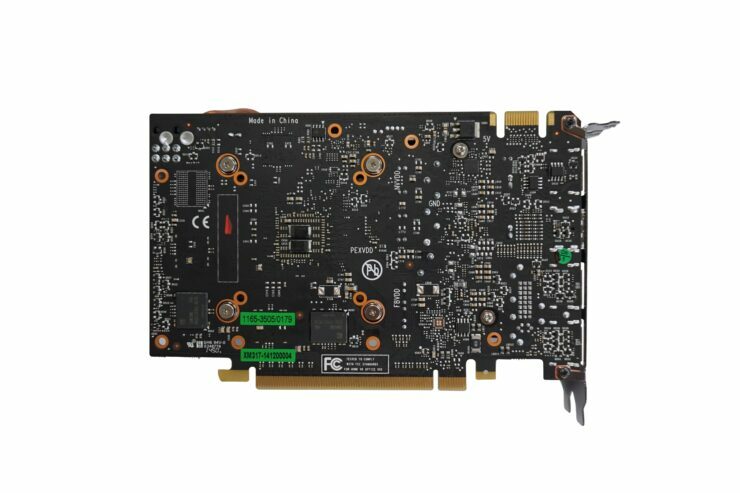 It is likely that the card will ship with the reference clock speeds. 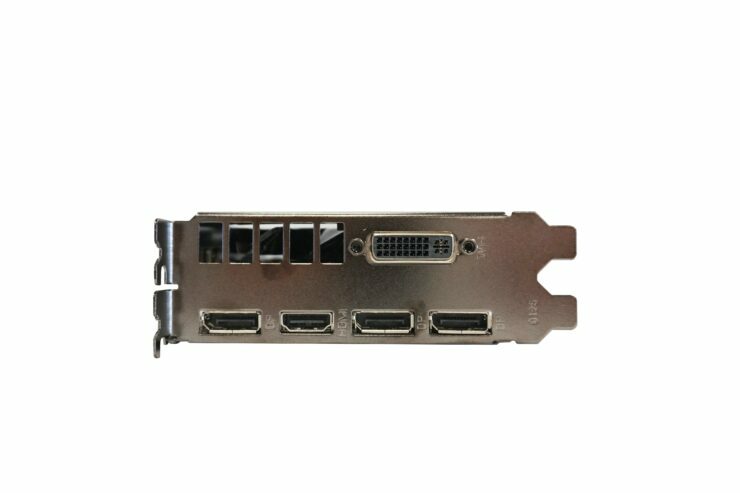 Display outputs include the standard Maxwell layout of a DVI port, HDMI 2.0 and three full length display ports. 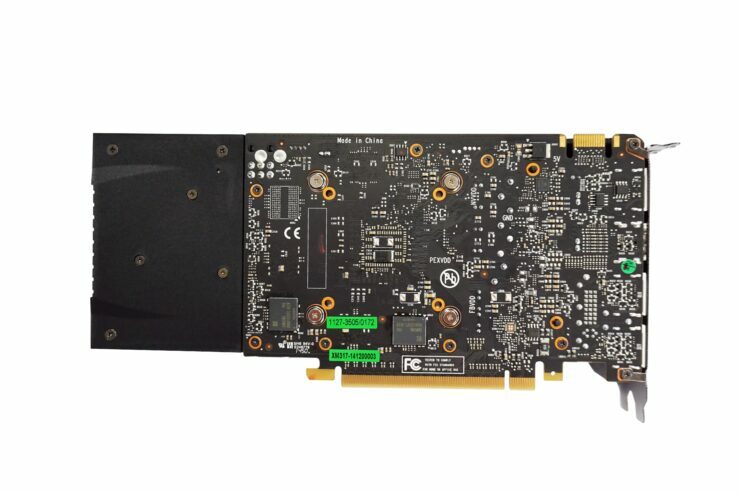 The card is expected to hit retail price of around $199 US.